I am currently researching the Portland Citizens Brass Band Victoria. First formed as a brass band in 1859, then formerly named as the citizens band in 1888. 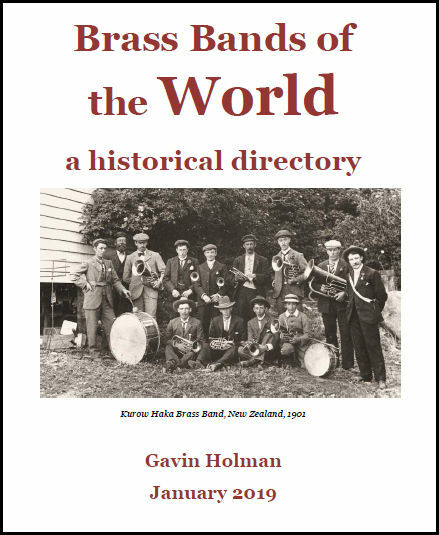 In your publication of Brass Bands of the world you list a band under the Victoria Australia section as the Portland Citizens/Town Band as 1905, but I believe this may actually be the band located in Portland NSW not Vic. Do you have any information on the Portland Citizens Brass Band Victoria 1859/1888? Otherwise not noted in your book. We pride ourselves in being one of if not the oldest Brass Band in Victoria. Would Love to be able to confirm this.